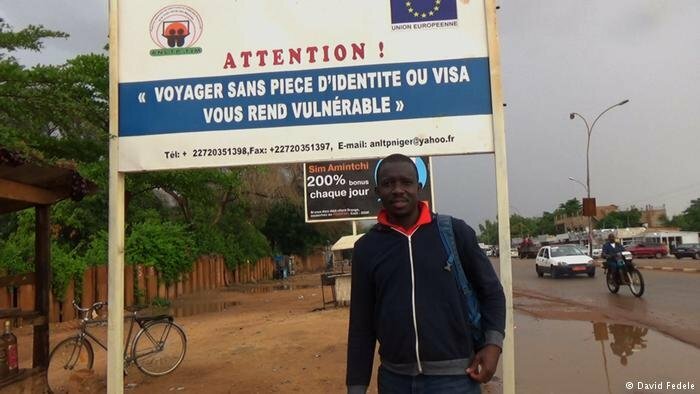 A Paris-based Ivorian refugee retraced the dangerous route he took through Africa to escape civil war and produced Revenir, eye-opening documentary screened at the African Film Festival in Cologne. Their paths first crossed in Morocco: Kumut Imesh, an Ivorian refugee, and David Fedele, an Australian filmmaker. Fedele needed a Bambara and French translator for a project and was introduced to Imesh. "So this is where the original spark of the idea came," said Fedele. Three years later, their cinematic collaboration –Revenir(The Return) – was released. 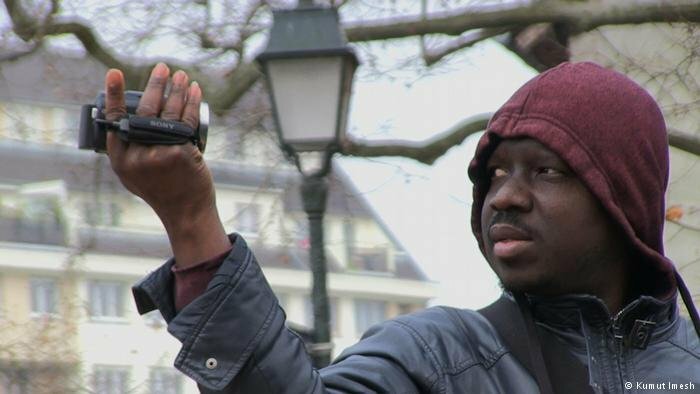 The documentary is based on the story of Imesh, who fled civil war in the Ivory Coast in 2004, making his way to Morocco and later on to France. In the film, he returns to Africa to retrace his escape route, only now equipped with a camera and the support of Fedele. Revenir was featured at the 2018 Africa Film Festival in Cologne, which runs until September 23. "The key message was to publish the reality of asylum seekers when they are forced to flee and to run away from their country," said Imesh. In the film he talks to migrants he encounters as he travels through Senegal, Togo and Ghana. "I thought that this was a way to tell a new story. To tell it from a new perspective, and even more importantly, from the perspective of somebody on the inside, who was forced to make this journey himself," said Fedele. The movie is largely without music or special effects. "We are not telling anybody how they should think or how they should feel. It's just a raw document of life on the road trying to show it in its reality,” he said. Imesh said he wanted to highlight the realities of migration, not only for the benefit of Africans. Not everyone understands that refugees and asylum seekers who make the journey abroad don't do so by choice, or appreciates how hard the journey to Europe actually is. "We are not telling them to stay or to move, but we are just telling them: This is the reality. If you want to move or stay, you have to take it into account," he said. Imesh fled from one country to the next until he arrived in Marocco. He spent seven years in the North African country before he was granted asylum in France. "That was important for both of us: To stop or to smash this idea that people have that so many people are leaving just to arrive to Europe," said Fedele. Many migrants have to undertake dangerous journeysin order to reach safety places. The International Organization for Migration counted 1,700 migration deaths on the African continent in 2017 – nearly 700 of them in the vast Sahara Desert. "If you fail, it is a death," Imesh said of the route through the Sahara. Migrants who make the crossing have a 50 percent chance of survival. In the making of Revenir, he didn't reach the desert – on his way to Agadez in Niger was arrested and had to turn back. Imesh was disappointed – had wanted to film along the desert stretch. But the camera he was carrying was a problem: The people smuggler feared being exposed. It had taken three months to get to Agadez. Fedele remained behind in Marocco as an emergency contact. "It was a risky experiment. But now Kumut returned safely, we are together. We are able to travel the world to show the films. So, in other ways it shows it was a risk worth taking,” he said. The two have toured the world with Revenir, which brought audiences a new reality. There also met refugees who saw the film as a reflection of their own story in a new way, said Fedele. Imesh did not reach his destination in filming Revenir, but the Paris-based he wants to continue making films and work towards the integration of asylum seekers and refugees through his organization he foundedm Actions of Solidarity for Refugees (ASCORE). "This idea of closing doors, closing borders to people who desperately need assistance, is something that we both will continue to fight for: Not just freedom of movement, but also open doors for people who are forced to flee their countries," said Fedele. The Australian filmmaker tackles cultural and social problems from around the world in award-winning documentaries, which can be viewed online for free. "This is not how I wanted to arrive in Europe"